General-purpose zooms are designed to handle most day-to-day shots, offering wide-angle to telephoto coverage. Unless you’re a specialist photographer, you’ll probably keep a general-purpose zoom fitted to your DSLR more than any other lens. Indeed if you bought a DSLR kit, you’ll already have a general-purpose lens, so why buy another one? The answer is to upgrade to a superior model. Better quality zooms may offer superior optics, an extended focal range, tougher construction, quicker and quieter focusing, image stabilisation to reduce camera-shake, or brighter apertures for low-light work and blurred backgrounds. Remember since this lens will probably be used for most of your shots, it makes sense to use a good quality model. Below you’ll find a selection of ideal models. I’ve also added a couple of prime lenses for general-purpose use if you fancy something smaller, lighter, brighter and better quality. The Tamron SP 24-70mm f/2.8 Di VC USD G2 (model A032) is a stabilized standard 2.9x zoom available in mounts for Canon and Nikon DSLRs with full-frame sensors. It also works on their DSLRs with APS-C/DX sensor where the angle of view is equivalent to a 36-105mm zoom lens. Its optical performance is very good inside the APS-C/DX image circle, it has good image stabilization and a fast AF, shows only little longitudinal color aberrations, and can be easily customized via Tamron's TAP-in console on a computer. Its only major downside is the soft performance in the outer reaches of a high resolution full frame sensor. Check prices on the Tamron 24-70mm f2.8 G2 at Amazon, B&H, Adorama, or Wex. Alternatively get yourself a copy of my In Camera book or treat me to a coffee! Thanks! 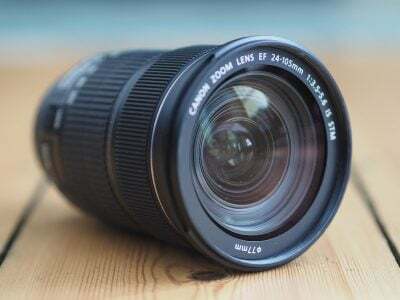 The Canon EF 24-105mm f3.5-5.6 IS STM is a general-purpose 4.4x zoom designed for full-frame DSLRs, although also compatible with cropped-frame APS-C models upon which it delivers a 38-168mm equivalent range. 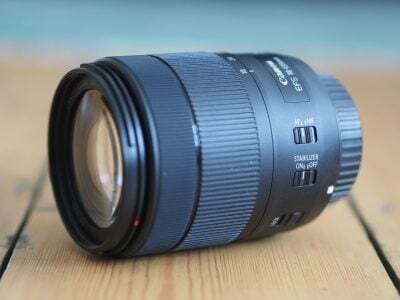 It joins the two 24-105mm f4L zooms in the range and while it lacks their L-badge, constant f4 focal ratio and weather-sealing, it costs roughly half the price and is the only one with STM motors for smooth and quiet focusing in live view and video. Indeed it's the only full-frame zoom with wide coverage, stabilisation and STM focusing, making it a no-brainer for owners of full-frame Canon bodies who shoot video as much as stills. But don't be fooled by the relatively low-cost: the optical quality punches well above its weight, making it preferable to the pricier L versions for many owners. Check prices on the Canon 24-105mm f3.5-5.6 STM at Amazon, B&H, Adorama, or Wex. Alternatively get yourself a copy of my In Camera book or treat me to a coffee! Thanks! Canon's EF-S 18-135mm f3.5-5.6 IS USM is a general-purpose zoom for its DSLRs with cropped sensors. Canon's third 18-135mm zoom for the EF-S mount, it sports a flexible 7.5x / 29-216mm equivalent range that takes you from standard wide-angle to telephoto, making it ideal for travel and general walk-around use. What makes the models different though are their AF systems: the latest EF-S 18-135mm IS USM is the first to employ a Nano-USM motor that combines the smooth and quiet operation of Canon's STM models for movies with the speed of traditional USM for action shooting. It really works in practice too with the EF-S 18-135mm IS USM feeling much snappier than the previous EF-S 18-135mm IS STM model for sports, but remaining smooth and inaudible for video work. Since it's only a little more expensive than the previous STM version, I'd say it's worth spending the extra for the improved AF speed - you also get the bonus of attaching an optional accessory that motorises the zoom. 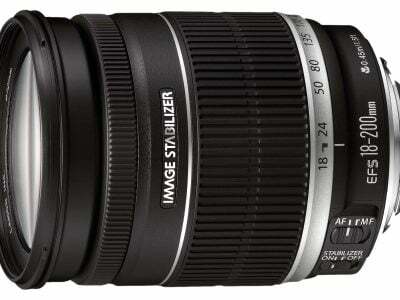 The EF-S 18-135mm IS USM is arguably the best general-purpose zoom for APSC DSLR owners. Check prices on the Canon 18-135mm IS USM at Amazon, B&H, Adorama, or Wex. Alternatively get yourself a copy of my In Camera book or treat me to a coffee! Thanks! 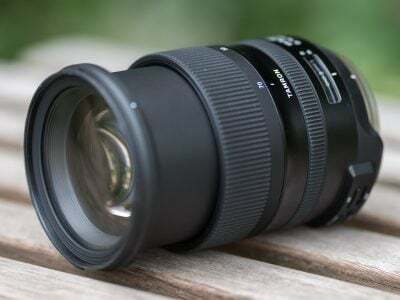 The Sigma 24-70mm f2.8 OS Art is a standard 2.9x zoom available in mounts for Canon, Nikon and Sigma DSLRs with full-frame sensors, and can also be used with Sony E-Mount bodies using Sigma's MC-11 mount converter. 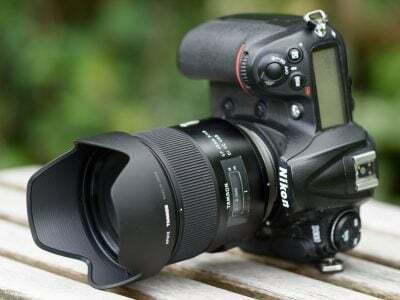 It has a very good image stabilization and is shorter, cheaper, produces less loCA, has a better Bokeh, and shows less vignetting than the reference in its class, the Nikon 24-70/2.8E VR. But its image quality at the short end and in the outer area of a high resolution full-frame senor is disappointing considering that this lens is a member of Sigma's well-renowned "Art"-line. But still the Sigma 24-70/2.8 OS Art earns a recommendation. Check prices on the Sigma 24-70mm f2.8 at Amazon, B&H, Adorama, or Wex. Alternatively get yourself a copy of my In Camera book or treat me to a coffee! Thanks! Canon's EF 50mm f1.8 STM finally upgrades the 24 year old EF 50mm f1.8 II with smoother focusing, more rounded aperture blades, closer focusing and a tougher lens mount. Like its predecessor, it'll gather over eight times more light than a typical kit zoom, making it great in low-light, deliver a shallower depth-of-field for attractive blurred backgrounds, and capture sharper results too. Meanwhile the low price makes it the most affordable lens in Canon's catalogue and the closest you'll find to a no-brainer, whether you own a budget DSLR, a mid-range model or even a high-end full-framer. Bottom line? It should be in every Canon DSLR owner's collection. Check prices on the Canon 50mm f1.8 STM at Amazon, B&H, Adorama, or Wex. Alternatively get yourself a copy of my In Camera book or treat me to a coffee! Thanks! The new Tamron 45/1.8 VC is a very versatile and interesting lens: It offers a fast f/1.8 aperture combined with image-stabilization that is good for two stops in my tests. Both allow the lens to hold out longer in dimly lit situations. It produces very sharp images with very little coma right into the corner of a full-frame sensor. And it's relatively small and light. But it does not produce the same Bokeh as a 50/1.4 or 55/1.4 lens and it has color aberrations which show up although not as prominent as with Tamron's 35/1.8 VC. But with a sharpness / resolution that it is better than any other lens in this comparison apart from the Zeiss Otus the Tamron 45/1.8 VC clearly earns a Highly Recommended. Regarding this performance the price of the new Tamron seems OK. Check prices on the Tamron 45mm f1.8 at Amazon, B&H, or Adorama, or Wex. Alternatively get yourself a copy of my In Camera book or treat me to a coffee! Thanks! If you want a truly high-end 50mm lens with autofocus, forget about Canon's own EF 50mm f1.2. For me, the best choice is Sigma's 50mm f1.4 ART lens. In my tests it delivers better contrast and crisper details across the entire frame, especially in the corners. And while the 'bokeh blobs' on the f1.2 are larger, I actually prefer the out-of-focus rendering on the Sigma. 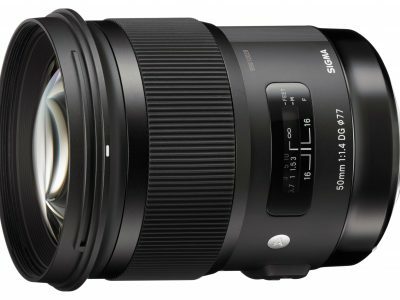 Admittedly the Sigma is bigger and heavier than any of the Canon 50mm lenses, but it costs only two thirds of the f1.2 making it a no-brainer in comparison, and that's before you even factor in the ability to switch its mount (at a cost) to a different system should you move from Canon in the future. 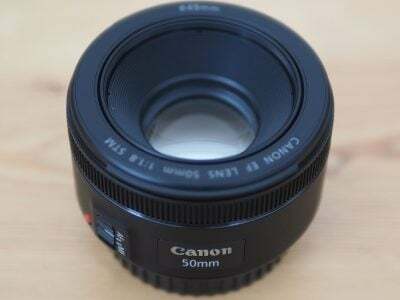 For me it's the best 50mm with autofocus around. Check prices on the Sigma 50mm f1.4 Art at Amazon, B&H, Adorama, or Wex. Alternatively get yourself a copy of my In Camera book or treat me to a coffee! Thanks! Canon's EF-S 18-200mm boasts a massive super-zoom range, although as an EF-S model it's not compatible with full-frame cameras. 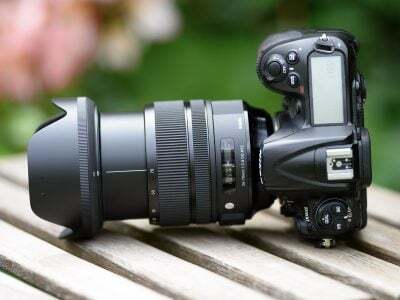 On a cropped body it delivers an equivalent focal length of 29-320mm, from wide-angle to powerful telephoto, covering almost any situation without having to change lenses. There’s no USM focusing and the quality is not as good as zooms with shorter ranges, but the sheer convenience will outweigh the downsides for many. Check prices on the Canon 18-200mm IS from Amazon, B&H, Adorama, or Wex. Alternatively get yourself a copy of my In Camera book or treat me to a coffee! Thanks! 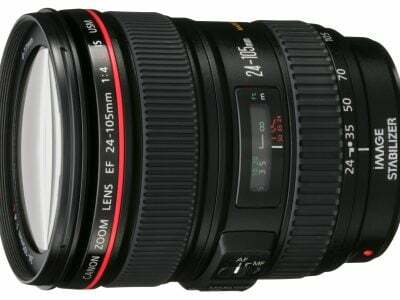 Canon's EF 24-105mm f4L is the ideal general-purpose zoom for owners of full-frame bodies, covering wide-angle to short telephoto with quick and quiet USM focusing, Image Stabilisation, decent manual focusing and 'L' quality; and as an L lens you also get a lens hood. Mounted on a cropped-body, it misses out on true wide-angle coverage, but remains a popular choice and a perfect partner for the excellent EF-S 10-22mm ultra-wide zoom.